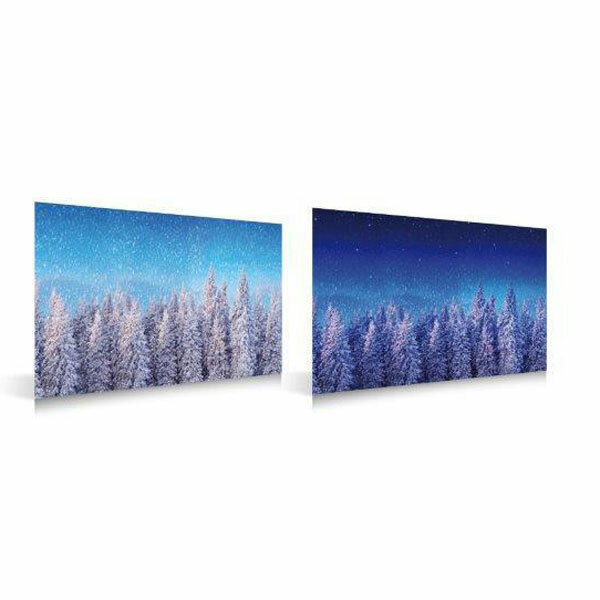 MyVillage™ Winter Forest Day & Night Scene Backdrop from the range of scenic accessories fully compliments the Lemax Collection. 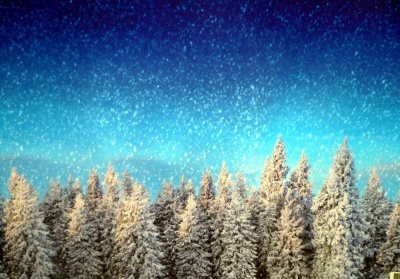 Sturdy & coated MyVillage™ Winter Forest plastic backdrop poster depicts a snowed tree top sky Winter scene designed to compliment a Lemax Winter Village display. Reversible backdrop is made of flexible yet sturdy plastic to last, and designed to be used individually or joined to more to make a continuous wider backdrop. Ideal for placing behind a Lemax Winter scene, to create even more realism at eye level. 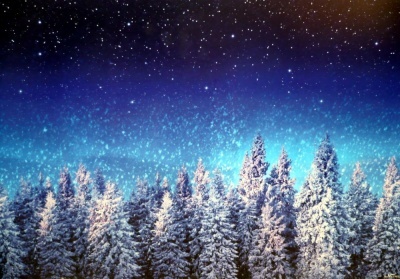 This single piece double sided backdrop comes with choice of day or night with the same Winter forest scene on each facing.